Cool retro popcorn movie set in 1966 featuring an All-Girl Rock Band, the legend of the Skunk Ape and a Beach Party! 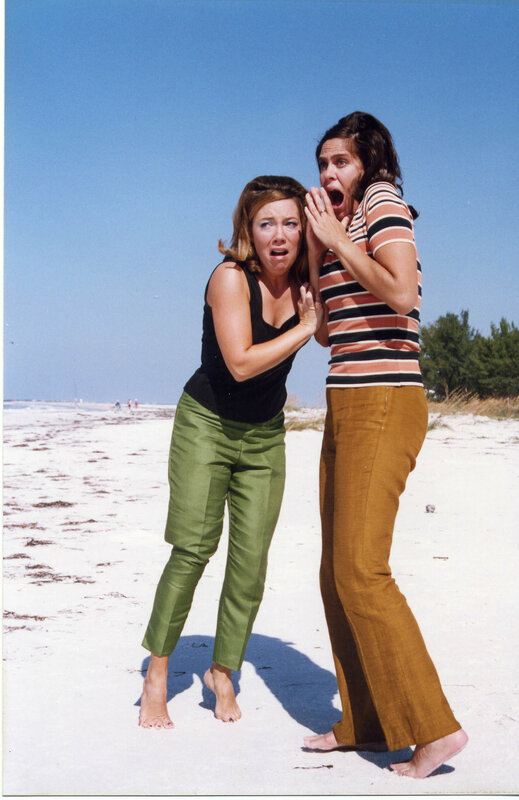 Cool retro popcorn movie set in 1966 featuring an All-Girl Rock Band, the legend of the Skunk Ape (Florida Everglades’ version of Bigfoot) and a Beach Party! The action starts when All-Girl Rock band, The Violas, tour van breaks down in a small mysterious southern beach community. Stuck with no money until local mechanic Hector offers them a deal – play his annual beach party and he’ll fix their van for free! However, unbeknownst to the girls the local police are investigating strange happenings and have brought in big shot Scientist John Patterson to help solve the mystery. Now the party is happening, a monster is on the loose and it all comes together at the biggest beach party of the year! “Take a big slice of beach movies, a generous helping of nature-revenge films, and put a pinch of King Kong iconography into a blender, and what do you get? An amusing amalgamation that writer-director Jay Wade Edwards (of Aqua Teen Colon Hunger Force fame) calls “Monster Beach Party”. The visual design and the narrative of the film accumulate into a sweet can of camp, making the film a ridiculously delightful cinematic experience.